We have another few days of our winter break — 16 whole days in which to get in to trouble. The problem with having so much time like this is that I start to dream about all of the things I could make. I’ve planned about 4 quilts already, but I’m trying to be careful not to let my imagination run away with me. When we went to Minnesota last week, I knew the dresden plates wouldn’t take the whole time, plus I wanted to have some variety, I have a short attention span. 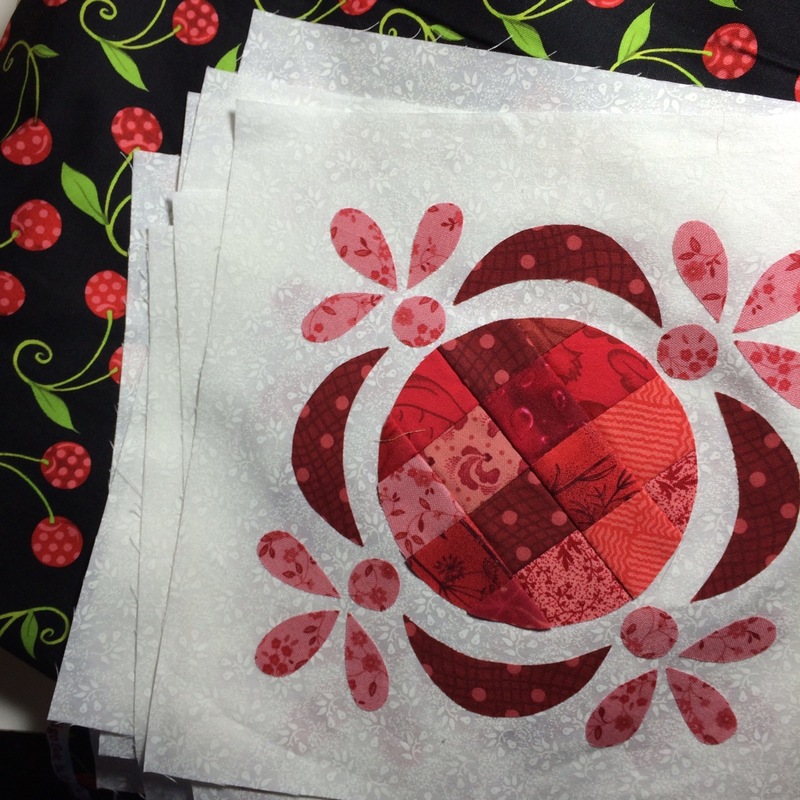 Before we left, I grabbed a bunch of reds, the white background fabric, and the pattern that this block came from. Isn’t it adorable? The finished block will be 8 inches square, the red squares in the center finish at 1 inch. I have 9 red blocks fused, waiting to be machine appliquéd in place. Nine, because that’s all the background fabric I had. I haven’t decided what to do next (well, after they get stitched, of course.) I’m having visions of many more blocks, or blocks in different colors (maybe an entire rainbow? ), or some kind of an alternating block, or maybe some unusual, non-traditional setting, or…..
See what I mean about my imagination? It’s tricky and gets up to things I can’t keep up with.